Gamers concerned about GST affecting their hobby should note that things are not so clear cut. Physical versions of games sold in stores, along with the consoles and PCs, are subject to the 6-percent tax; but it appears that games bought online are not. Perhaps it’s time for us all to go completely online. Early checks on digital download platforms like Steam, Origin, and the PlayStation Store have revealed that prices are unchanged for Malaysians. This is likely because these services do not originate from within the country, and downloading the game does not count as importing it. 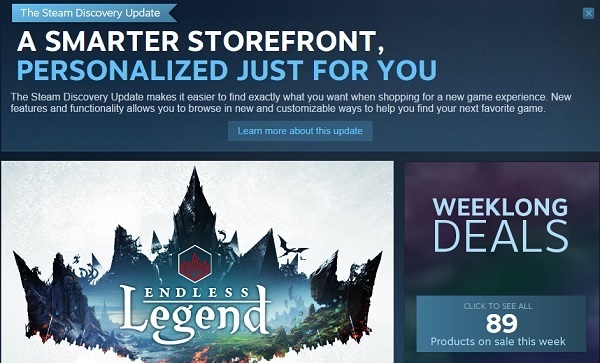 Which is good news for gamers who prefer shopping online. On the other hand, it appears that physical codes intended for use with online platforms fall under the purview of the new law. 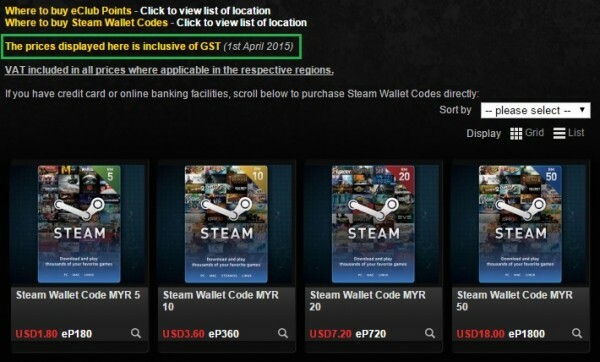 eClub, who sell Steam Wallet Codes, has begun listing the codes with the extra 6-percent tariff. However, topping up a Steam Wallet using a credit or debit card does not incur the extra charge. This is good news for us gamers who already know that gaming is not cheap. That being said, we have reached out to PlayStation for a comment and are still waiting for a response. As of yet, it is unknown if subscriptions to online services like PS Plus will be affected. Mobile and casual gamers will be glad to note that it appears that apps for Android, iOS, and Windows Store are also unaffected by the tax. A cursory glance through the Goods and Services Tax Act 2014 shows no mention of digital goods or services, which indicates that digital downloads will remain unaffected for the time being (although it is unknown if this applies to all software and not just games). However, it should be noted that some local banks are blocking online transactions they deem to be high risk. 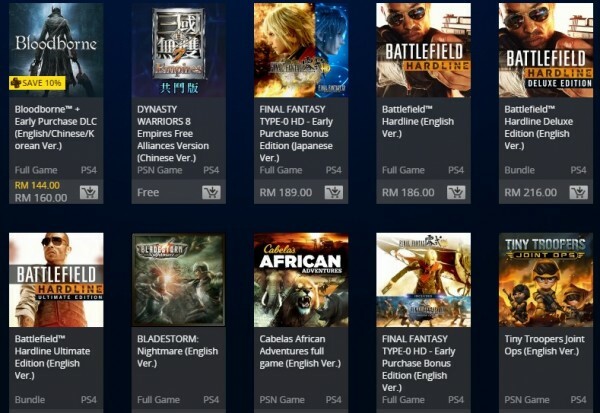 In this case, Maybank is still blocking online gaming platforms like Steam and the PlayStation Store; while CIMB appears to be blocking some transactions for Google Play. It is a comforting though to know that the price of digital downloads remains the same; especially with many gamers switching over to digital copies of games for ease of storage and convenience. It may also be a good time to invest in some backup storage devices just in case.